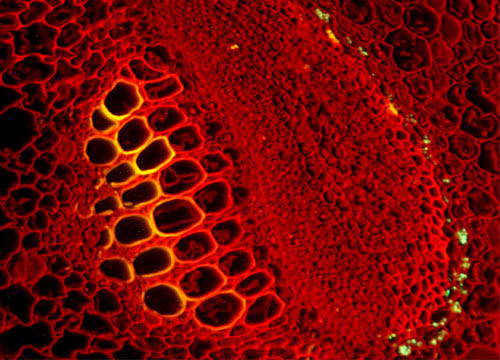 Dermal tissues are the outermost layers of the plant. The primary dermal tissue, the epidermis, is found on young parts of a plant such as new growth of stems and leaves. Epidermis is eventually replaced by the secondary periderm, which is composed of phellem, phellogen, and phelloderm. Cork and bark are common examples of periderm tissue.